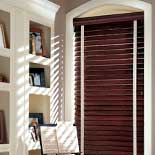 of most blinds, shades, shadings, shutters and sheers. using a vertical stroke with the exception of Luminette® Privacy Sheers. dust off selected window coverings. may result in cleaner areas. oil or wood preservative to clean.  Aluminum horizontal blinds. Use an over-the-counter blind cleaner with a soft cloth.  Vinyl and aluminum vertical blinds. Reduce build-up of static electricity by applying a very thin film of detergent on all slats and vanes. honeycomb fabrics (see the Care and Cleaning Charts). 1. Immerse the entire shade assembly in lukewarm water with mild detergent. Wash for five minutes by gently moving liquid around with your fingers. 2. Rinse with clear water. 3. Close the shade before removing from rinse water. 4. Hold rails and tilt the shade to allow excess water to drain off. 5. Re-install the damp shade into window opening. 6. Lower the shade all the way to allow it to dry completely. Note: Honeycomb shades should be dried in the fully lowered position. Certain honeycomb fabrics should not be immersed in water. Please consult the Care and Cleaning Chart for more specific information.  Avoid dry cleaning. 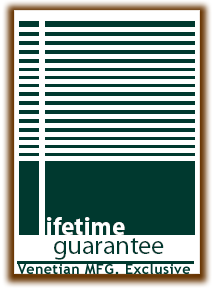 Most soft alternative window treatments do not require frequent cleaning. A light dusting with a vacuum cleaner brush attachment on a regular basis will keep them looking new for years. and Vignette® Modern Roman Shades; and Duette® honeycomb shades. Dry method is recommended for certain fabrics. To locate the On-Site dealer nearest you, check the yellow pages or simply call 1-800-598-9043. Hunter Douglas acknowledges these cleaning methods as being safe and effective. We cannot attest to the quality of equipment or services provided by any independent cleaning facility.  Many shade fabrics are specially treated to repel dust and dirt. anti-static paint additive that inhibits dust build-up. Created by: theWattigny Group, LLC.